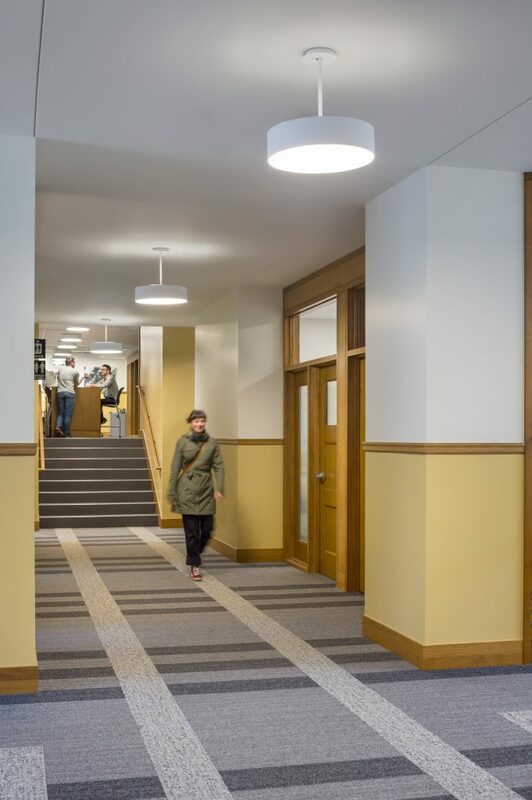 Chapman Hall, home to the Clark Honors College, was built in 1939 and designed by UO architect Ellis Lawrence. 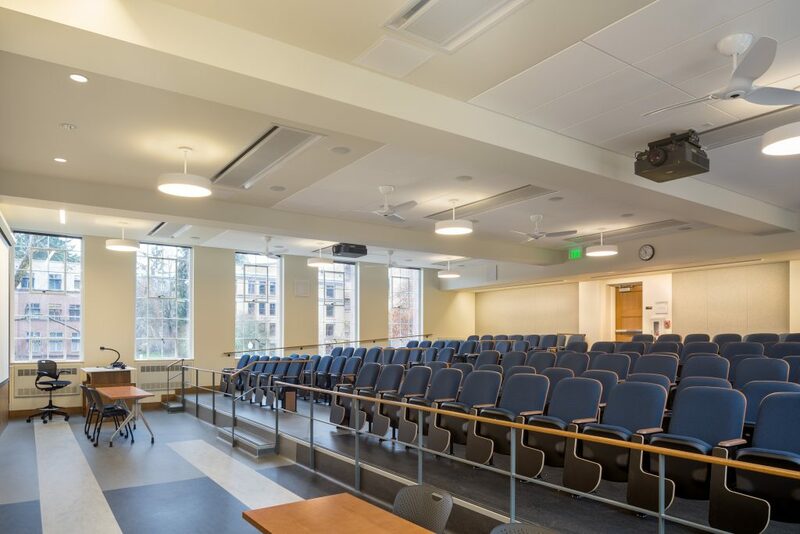 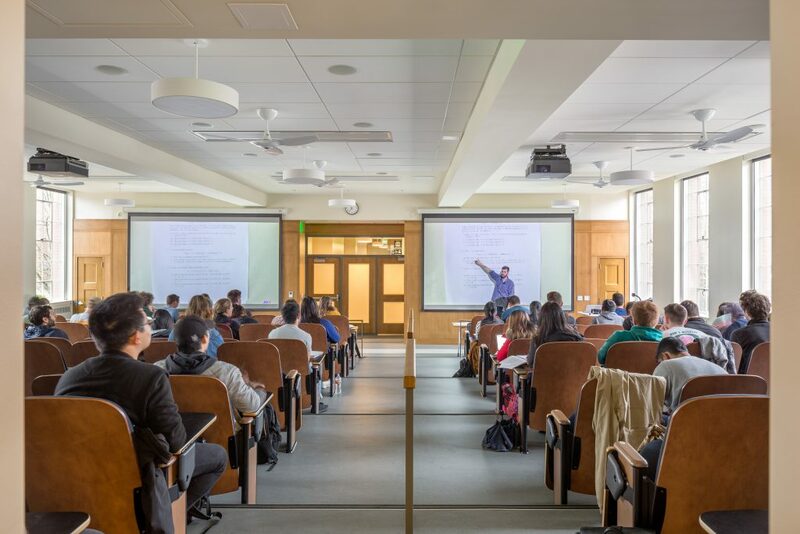 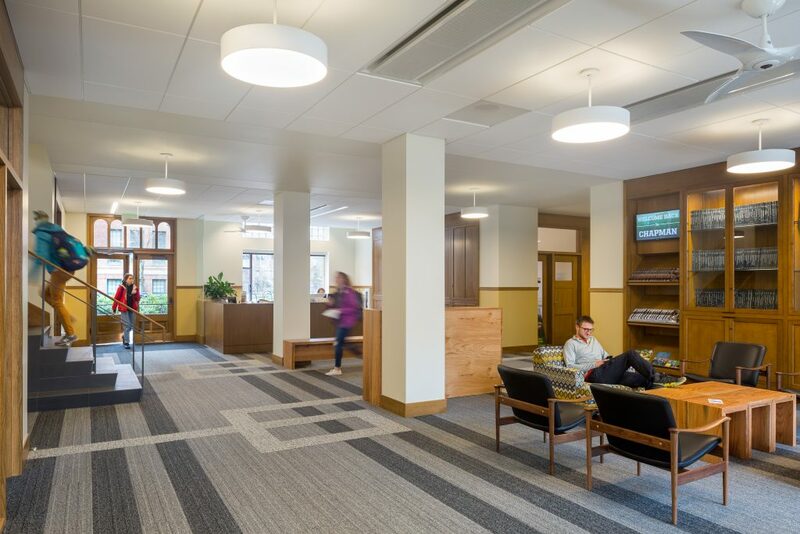 Working closely with the user group, Hennebery Eddy helped the Honors College preserve the original character while designing a complete renovation, from seismic and accessibility upgrades to state-of-the-art living and learning facilities. 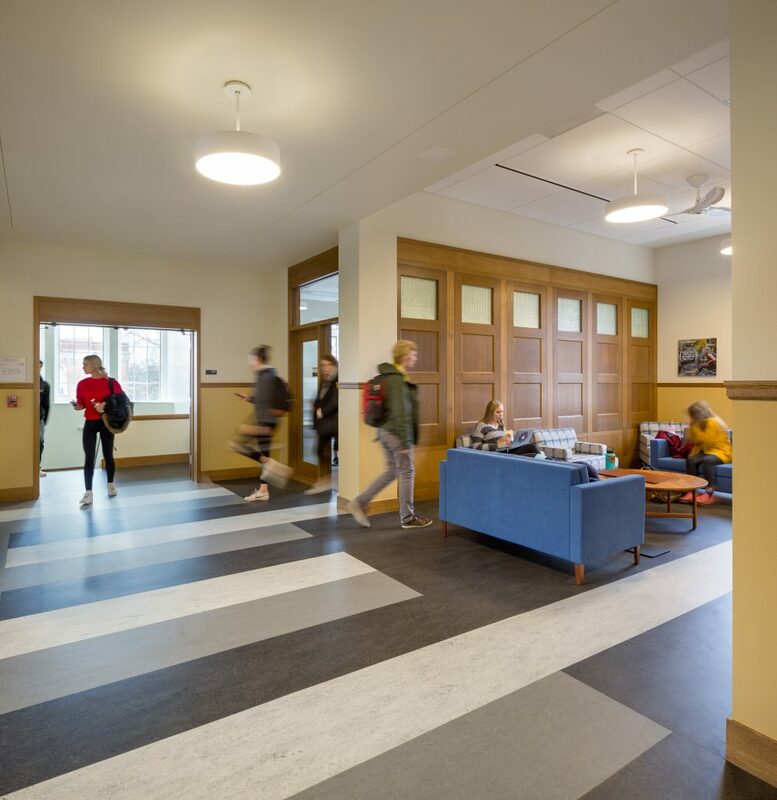 The historic university renovation design responds to the original features and configurations of the building, reflecting its traditional academic nature while transcending these boundaries by blending formal and informal elements. 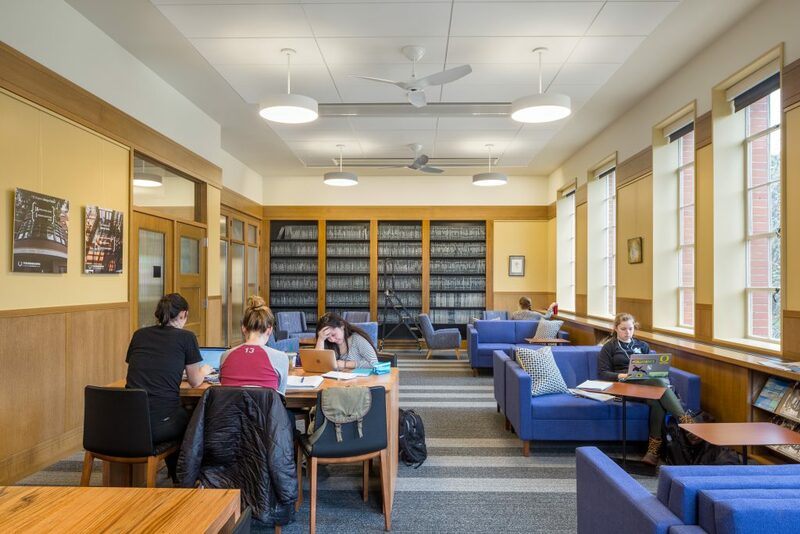 The hall isn’t simply a place for students to attend classes several hours a day — Chapman is honors students’ home away from home. 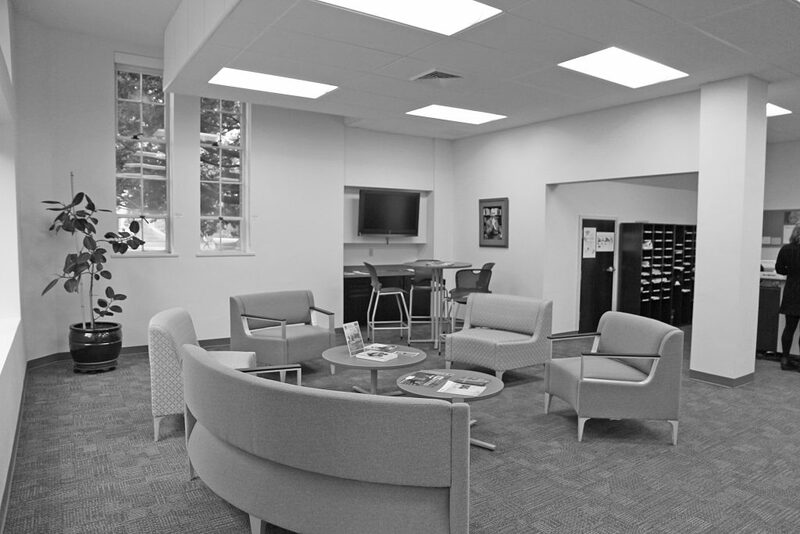 To this end, we integrated six different types of social and common spaces into the design. 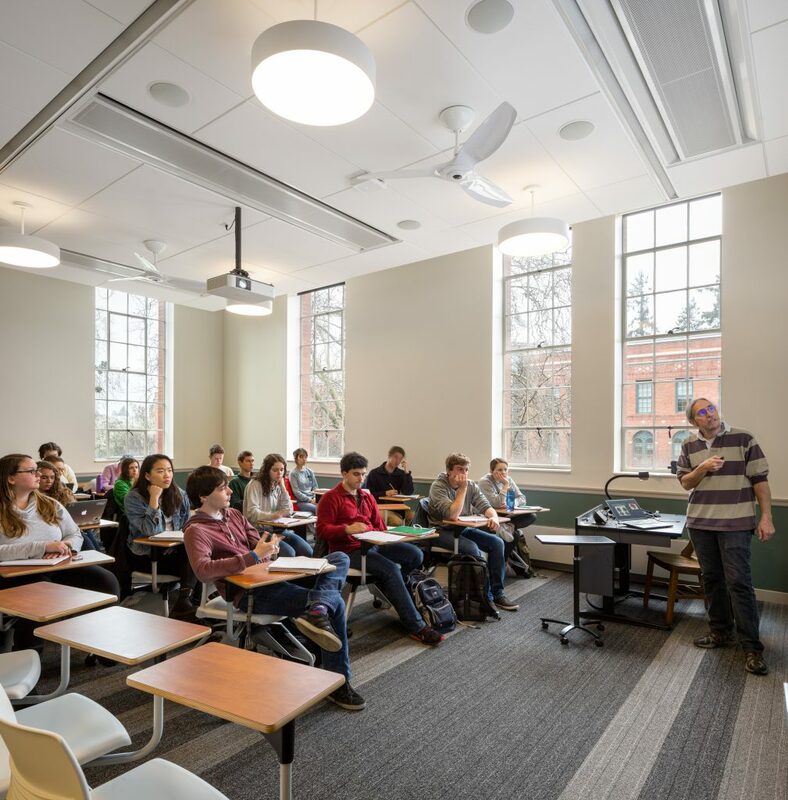 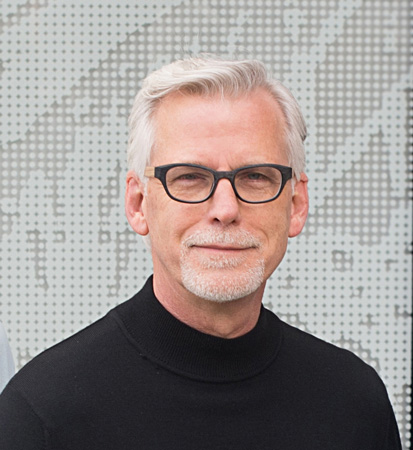 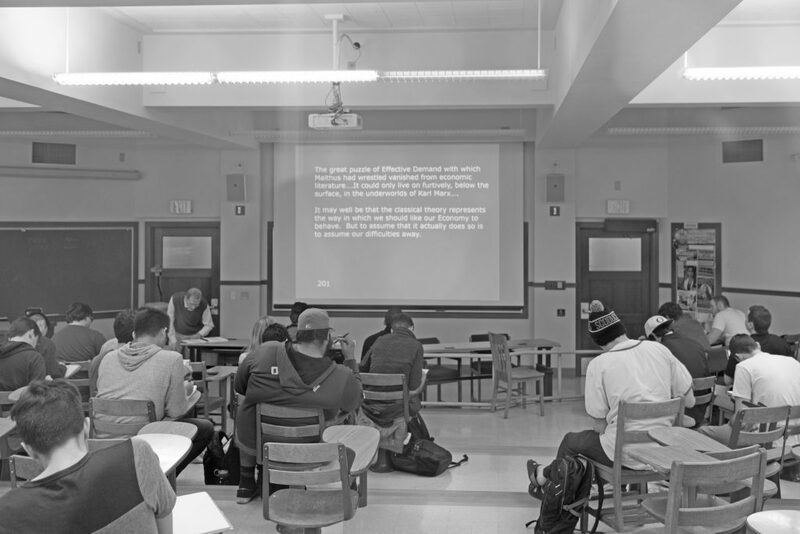 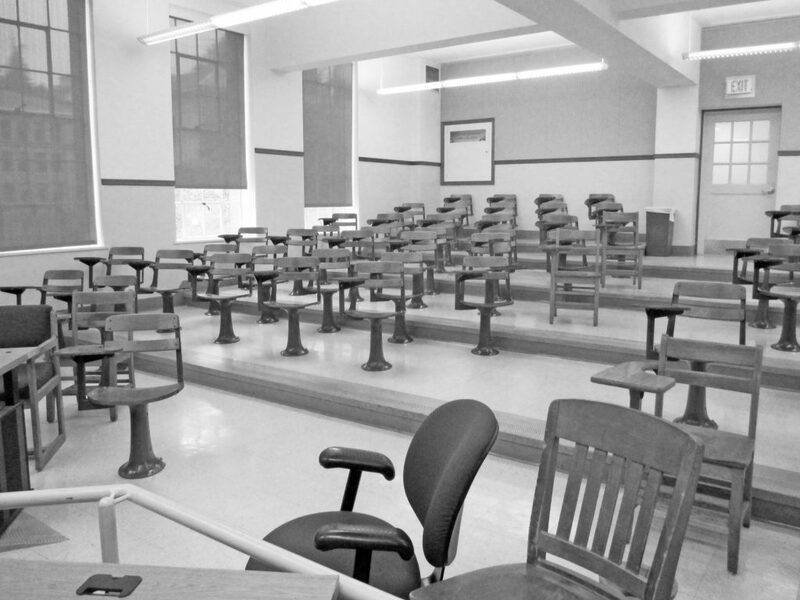 Classrooms are intentionally small, supporting ongoing dialogue between students and instructors. 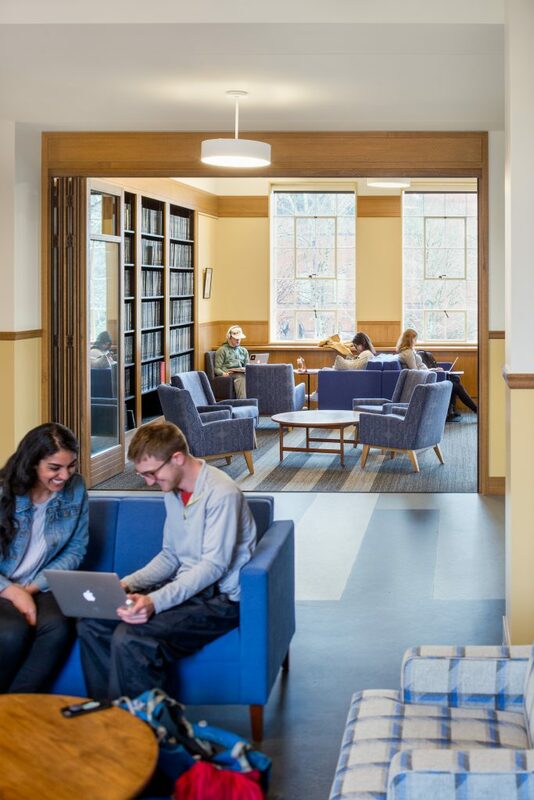 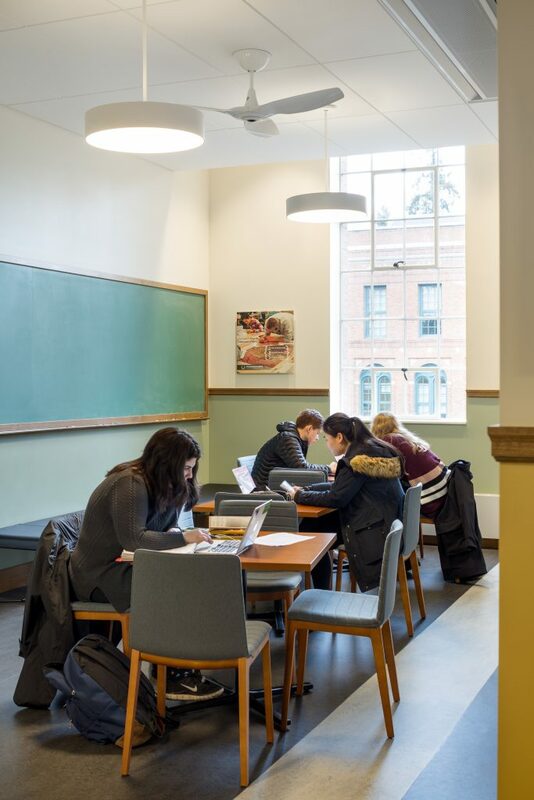 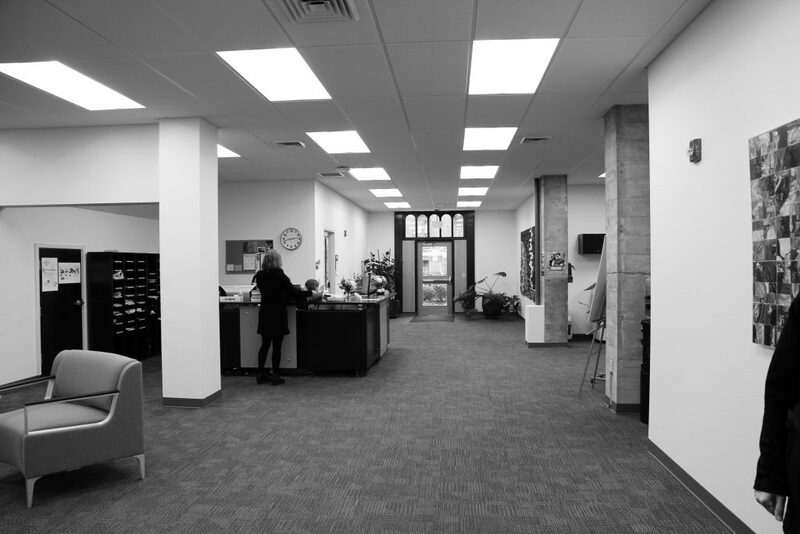 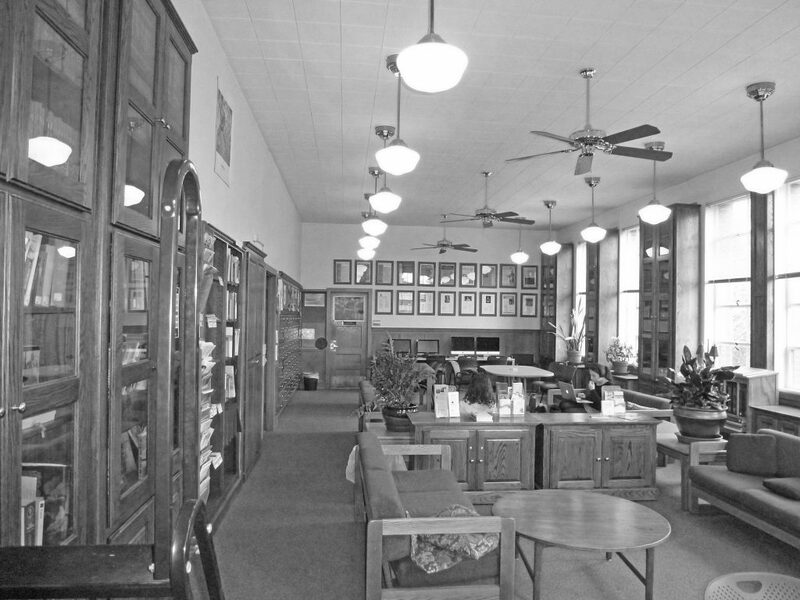 The third-floor library embraces the historic nature of a formal reading room while also offering modern amenities to facilitate group work sessions. 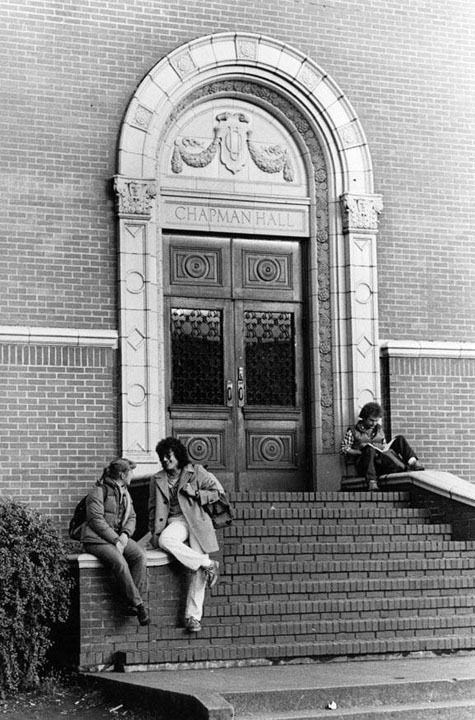 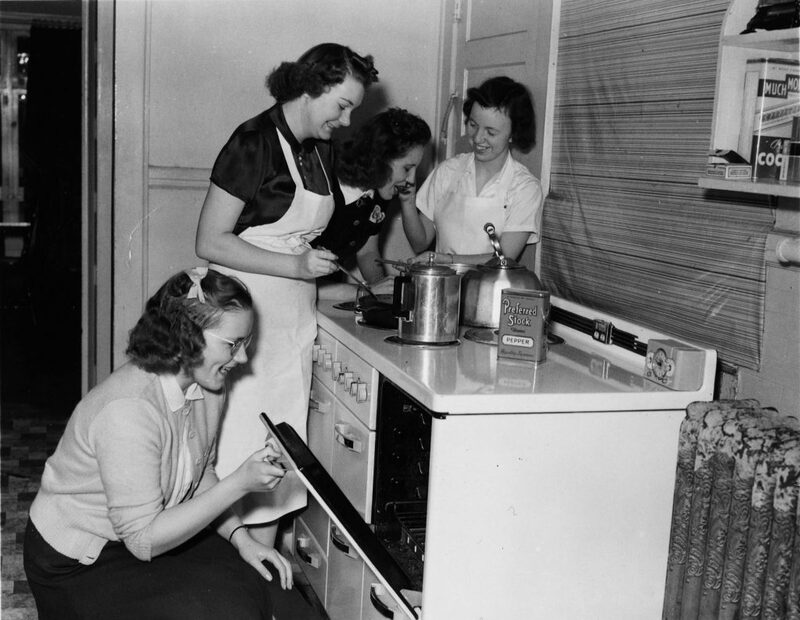 Chapman Hall — originally used for home economics, English, and a bookstore — prior to the renovation.